Availability: Candidates can start applying for OUCET 2019 from 21st April 2019. The deadline to complete the application process is 27th May 2019. Eligibility criteria: Only candidates who satisfy the OUCET 2019 eligibility criteria can apply for the examination. Candidates can verify the eligibility criteria here. Credentials: Log into the account using the Name, Application Number, and Date Of Birth. Payment: Pay the Fee (Online mode), after filling the OUCET 2019 application. Print out: Candidates of OUCET 2019 can take a printout of the application and save it for future use. Scanned copy of the candidate's signature. Official Website: At first, candidates need to visit the OUCET 2019 official website. Link: Then by clicking on the "Apply Online for OUCET 2019" link, a new web page will appear on the screen. Then click on "New Registration for OUCET 2019" link. Candidates will be redirected to the registration form. Credentials: Complete the filling of details like Candidate Name, Date of Birth, Active E-Mail Id, active mobile Number etc. Payment: The candidates must pay the requisite registration fee for OUCET 2019 according to their Category before the deadline. Centre: The registration fee for OUCET 2019 exam may be paid at any TS/ AP Online centres or by using Credit / Debit Card / Net Banking. Verification: After completion of registration details entry, the candidate will receive SMS of a "Registration ID". Note down this Registration ID for further reference. Filling of the OUCET 2019 online application form is allowed only after registration and authorization of your payment. 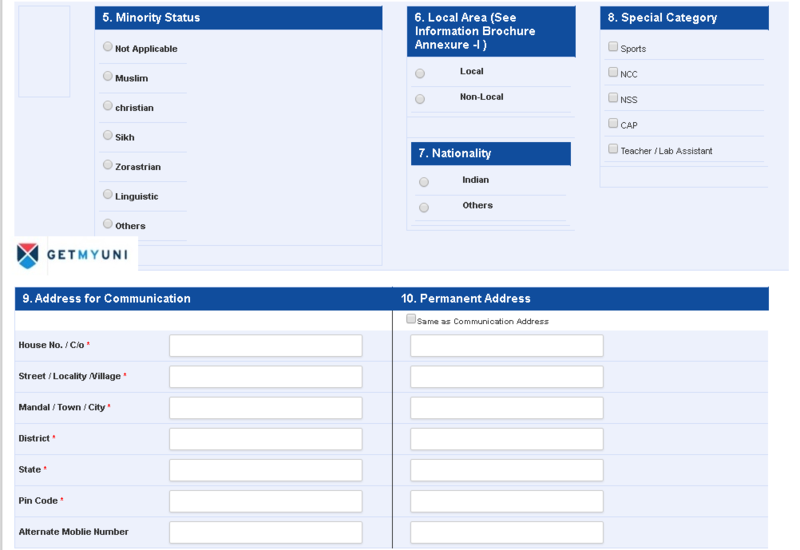 Click on "Online Application Form OUCET 2019" link in the left menu. 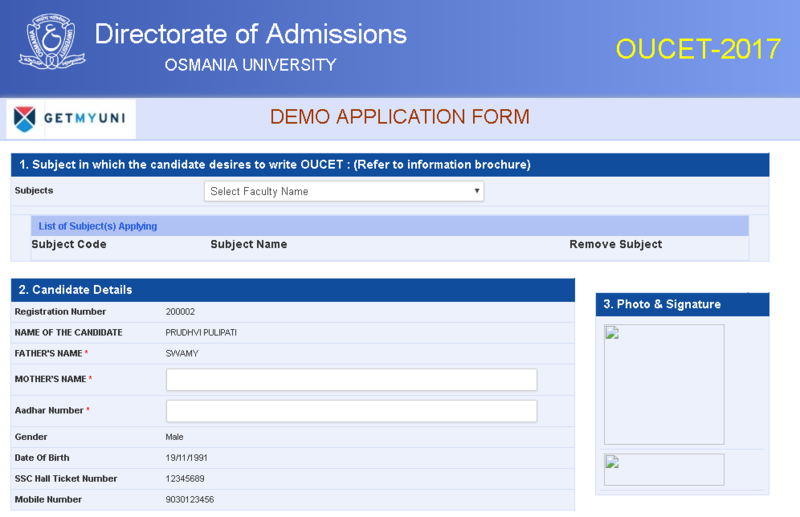 Online application form for OUCET 2019 will be displayed. Submit: Enter the details of Application Number/Registration Id and click Submit. Application Form will be displayed. 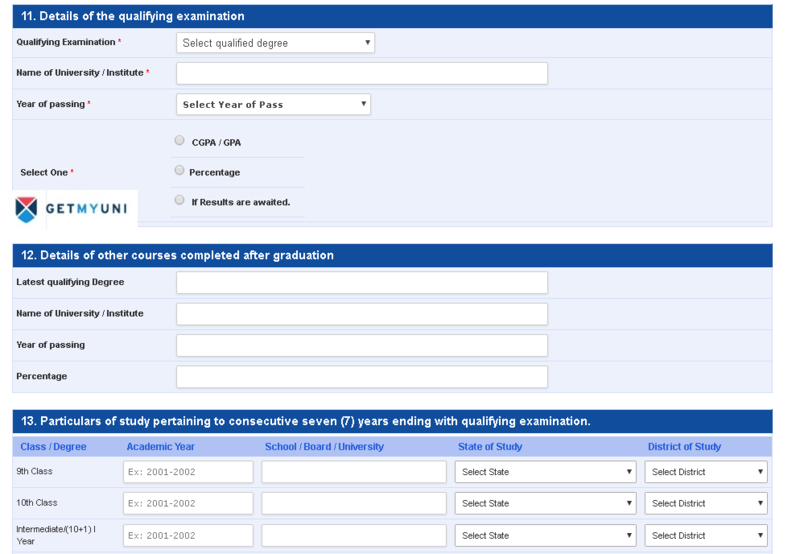 Qualification Details: Fill the entire academic, study, percentage secured, personal details etc. Documents: Upload Photo, Signature and certificates as prescribed by the OUCET 2019 Website. Submission: If the candidate is sure that all the information provided are correct, then click on "Submission" link. Note: Once the application is submitted, no more changes can be made. Make sure to check your every information in the application form before submitting. Note: Keep a copy of this for future use.